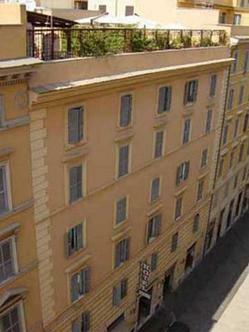 Located in the heart of Rome, Hotel Des Artistes is perfect for a romantic getaway, a relaxing time in the city or a business trip. You will find us conveniently located on a quiet side street in the center of the city. Hotel Des Artistes is at five minutes on foot from Rome*s main railway station Termini and at a short walk from major monuments, churches, museums and other places of interest. The rooms are a cut above the usual three-star, thoughtfully decorated with rich fabrics, original paintings from the beginning of the 20th century and mahogany furniture. And after a day of sightseeing or business, you can relax on our beautiful flower-filled roof terrace or socialize with other travelers from all over the world.